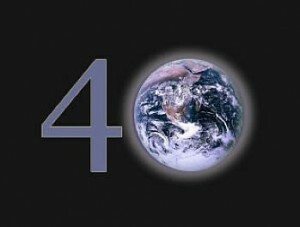 It’s Earth Day, and you can practically hear tributes to Rachel Carson and Senator Gaylord Nelson and other patron saints of the environmental movement ringing from hybrid to shining hybrid. As well they should. Without Nelson there would be no Earth Day, and without Carson and her ilk the Earth would be in rougher shape than it already is. 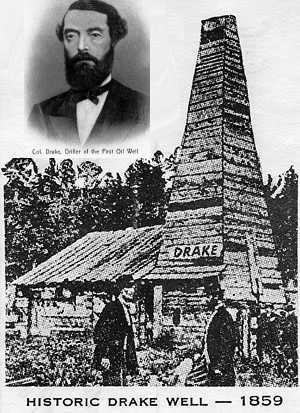 I would, however, like to commemorate a different figure on this Earth Day: Col. Edwin Drake, the man who pioneered commercial oil drilling. That’s right, oil drilling. On Earth Day. Bear with me, I’m going somewhere with this. Drake is credited with inventing economically viable oil extraction in 1858, when Seneca Oil hired the semi-retired railroad worker to explore oil deposits on its land near Titusville, Penn. Most homes and businesses of Drake’s era were lit by lamps burning whale oil, which grew scarce and expensive as the whale population plummeted from overhunting. Seneca Oil founder Samuel Martin Kier had invented a method for refining crude oil into kerosene to replace whale oil in lamps several years before the company sent Drake to Titusville. The problem was there was no reliable supply of oil to refine, which meant kerosene couldn’t replace whale oil on a large scale. Before Drake, people skimmed oil off creeks from the water that seeped into salt mines. Those sources were too erratic to provide the masses with kerosene for lamps. It was Drake’s idea to dig for oil instead of skimming it. The good people of Titusville thought Drake was off his rocker. They called his operation “Drake’s Folly” and crowded around the drilling site to jeer. When his first mine shaft collapsed, it looked like they might be right. But Drake thought of sinking a pipe into the ground and drilling inside it to prevent the bore hole from collapsing. Just days after Drake’s bore hole started belching up oil, there were imitators up and down the creek using his methods to get oil out of the ground. The oil era, for good or ill, was launched. I bring up Drake on Earth Day because of the parallels between his story and what’s going on in renewable energy right now. Listen to some of the skepticism that persists around renewable energy: Wind and solar are too sporadic to replace fossil fuels. Renewables cost too much and don’t deliver a big enough return on investment. They have lower energy content than fossil fuels. Now rewind 152 years to Edwin Drake’s era. Do any of today’s criticisms sound familiar? Regardless of what you think about his legacy, Edwin Drake was not an environmental criminal. He was a resourceful man who solved his era’s energy problem by ignoring conventional wisdom and trying new things. He had a vision, and he persevered until he found a way to get it done. Yes, he left us a mixed legacy. Nevertheless, our generation needs its own version of Edwin Drake, to do for renewable energy what Drake did for oil. It happened once, and it can happen again. On a side note: Check out the last page of this week’s Newsweek magazine for a scorecard of how well we’ve done at cleaning up the environment since the first Earth Day. There are reasons to be glad, and reasons why we still have a lot of work to do. Happy Earth Day!